The Driving Test will lasts for roughly 40 minutes. During this time your examiner will have a clipboard and make notes during your test. He will instructed you on where to drive and when to perform certain manoeuvres which are required to fulfil the criteria to complete your test. At Crewe Driving School our structured driving lessons will help you to adopt the correct techniques early on and also help you to develop good driving habits for life and not just for your driving test. Throughout your test you will have to show you can drive safely in a variety of different road and traffic conditions, and at the same time showing you have a good understanding of "The Highway Code". For more Driving Test information visit www.gov.uk/practical-driving-test-for-cars/overview. 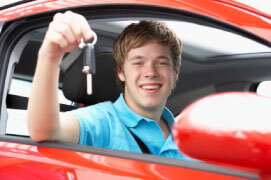 To Booking Your Driving Test visit www.bookingdirect.org.uk/dsadrivingtest.